Lombok Island is located to the east of the island of Bali, separated by the sea, the Lombok Strait. Many people assume that Lombok is a province. Lombok is actually a regency, and is part of the province Nusa Tenggara Barat. While Nusa Tenggara Barat (NTB) Province consists of ten districts / cities. Lombok Island there are five regency / city. Regency / City in the island of Lombok is Mataram City, West Lombok regency, Central Lombok regency, East Lombok regency, and North Lombok regency. In Lombok, there is a city, and is the only major city in Lombok, Mataram ie. Mataram city in Lombok is the economic center. Mataram is the capital city as well as a province of Nusa Tenggara Barat. Formerly, Mataram is the center of many kingdoms. But now has become a city with various tribes gathered in this city. Lombok Island is very unique shape. The shape is almost like a circle, with a tail at the bottom. While at the top, the northern part of the island, there is a mountain. Mountain on Lombok island as a head with a large crater in the middle. The island is included in the cluster of volcanoes that are part of the plates are constantly moving, so that in Lombok island is often an earthquake that could destroy buildings. On June 22, 2013, an earthquake on the island of Lombok. An earthquake heavily damaged the building. The quake could be felt up to Bali. What's worst earthquake in Lombok, is on the north of the island. The quake measuring 5.4 on the Richter Scale. Hundreds of earthquake survivors living in camps, and jostling in the absence of tents for shelter. Most of the population on the island of Lombok is Sasak tribes. Sasak tribe mostly Muslim. Because the island of Lombok is located very close to the island of Bali, the Balinese people who go to Lombok and settled there. So the second-largest religion practiced on the island is Hindu. Number of Hindus in Lombok there are about 15%. Currently in Lombok growing tourism industry. Development of the tourism industry in Lombok, heavily influenced by Bali. Therefore, many of the Balinese culture into the island of Lombok, brought by the Balinese, who headed and settled on the island of Lombok. Many objects and scenery in Lombok, used by developers and hospitality employers. They build facilities to support tourism. Local governments also began heavily promoting to bring in tourists visiting Lombok. There is a beach in Lombok whose name is the same as the one in Bali, is the Kuta beach. Lombok Kuta Beach is a tourist place is quite popular among tourists. It has a white sand beach, located in a village called Kuta Vilage. Kuta village has become an attractive tourist destination in Indonesia. Today many share hotel establishment. In addition to the beautiful natural wealth to be enjoyed, once a year Sasak ceremony is always held in the village. Its name is Bau Nyale ceremony. Ceremony for sailors looking for worms called Nyale at sea. Kuta beach in Lombok is likely to become a new icon for the tourism industry on the island of Lombok. Due to construction around the Kuta Beach area started solids, such as the construction of luxury hotels and also Lombok International Airport. 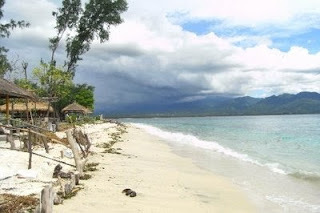 Besides Kuta beach, in Lombok there is also a tourist place is very beautiful water, named Gili Air. Gili Air is one of the very famous tourist areas in the world. 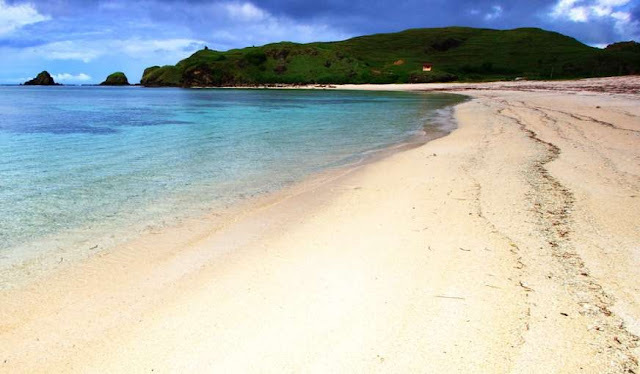 White sand and crystal-clear sea water became a daily sight in the second smallest island in Lombok.